Scott McDonald, Teacher Consultant in Special Education in Grand Erie, is starting his day at Princess Elizabeth Public School. It’s one of 12 schools he visits regularly for resource team meetings which bring together diverse groups of specialists to support the equally diverse needs of students. At the meeting with McDonald is the school’s Principal, Learning Resource Teacher, a Grand Erie Child and Youth Worker, and Social Worker. Other times, depending on the needs they’re working to meet, the resource team might expand to include Social Workers, Speech Language Pathologists, Educational Assistants, Behavioural Counsellors, or other professionals with expertise in specific areas. It’s a bit like putting together the pieces of a giant puzzle. There’s a corner piece here, a center piece over there, and finding the right connective pieces to bring the full picture into view requires a team effort. 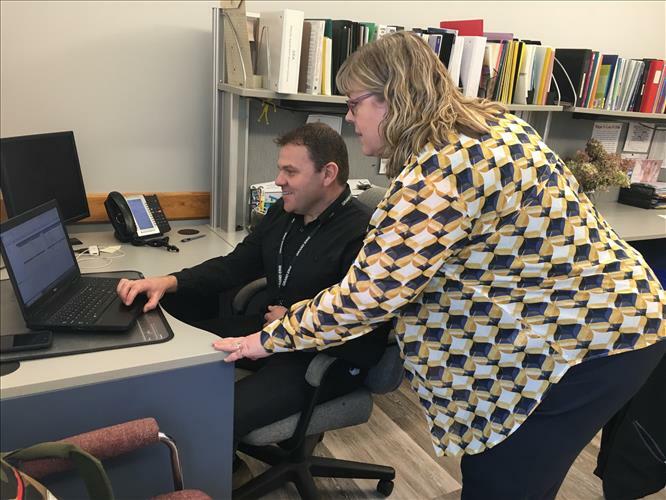 McDonald has worked with Grand Erie for 20 years, as an elementary teacher, a Learning Resource Teacher, and on a special project working to support at-risk Grade 8 students making the transition to secondary school. He’s also a former student of Seneca Central School, J.L. Mitchener Public School, and Cayuga Secondary School. While all students learn differently, Special Education addresses the fact that some students have exceptional learning needs. 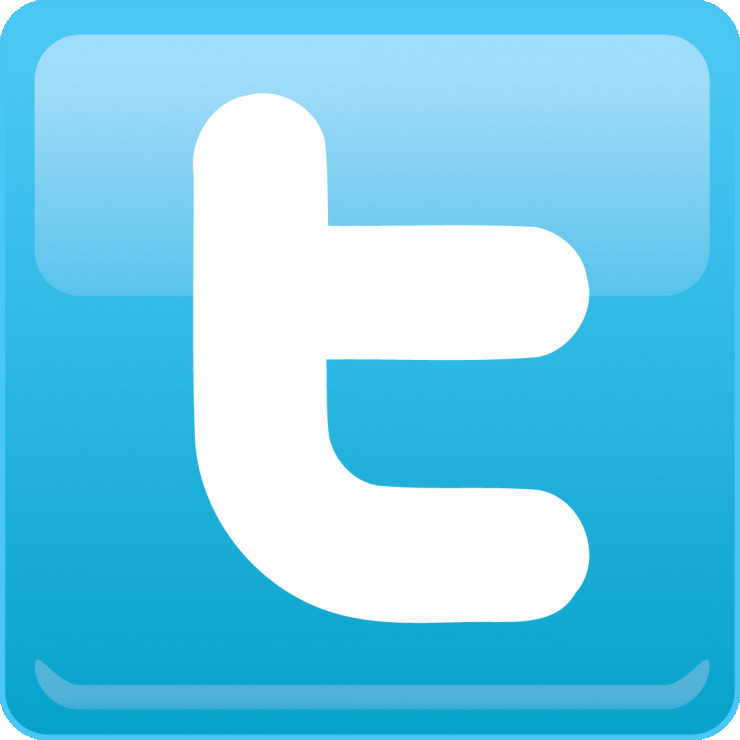 Accommodating those needs could involve straightforward strategies such as providing more time for lessons or a different environment in which to write a test, using equipment or assistive devices so students can participate meaningfully in activities, or the teacher providing a prompt to return attention to a particular task. For some students, modifications might be made to the curriculum expectations to fit their unique learning needs. For other students, a self-contained classroom might be the best environment to provide specialized interventions and support. Determining how best to meet these needs is a collaboration between the school, the Special Education team, the student’s parents or guardians, and other specialists. McDonald's work, and the goals of the Special Education department, aligns with Grand Erie's Multi-Year Plan, and its pillars of Equity and Achievement. These pillars work to provide educational experiences based on acceptance, inclusion, and the removal of barriers so students can find individual success. 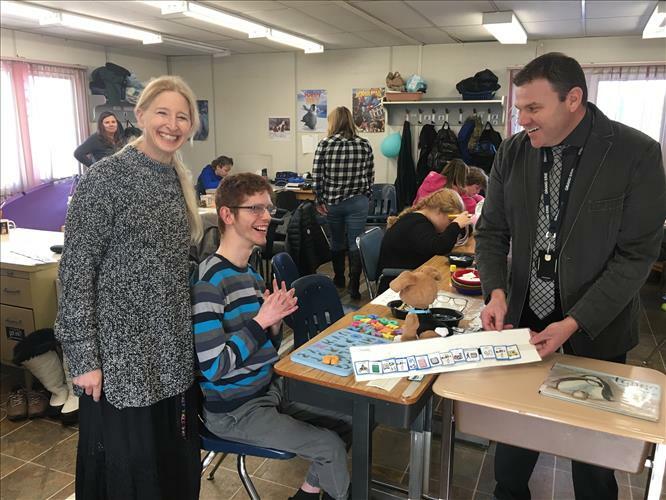 McDonald works out of Grand Erie’s Teacher Resource Centre, and on his way back to the office, he stops in at Tollgate Technological Skills Centre to visit the school’s self-contained classroom for students with autism spectrum disorder. There, he’s able to catch up with Cassi, a student he’s known since she was in Grade 3 at Major Ballachey Public School, where McDonald was the Learning Resource Teacher at the time. Cassi’s teacher, Alisa Dyment, shows him a folder containing her most recent work, including a diagram of a penguin on which Cassi has correctly labelled its different parts – without any assistance. “That’s incredible,” McDonald replies, with a warm smile. The Special Education team includes five other Teacher Consultants, and time in the office fosters important collaboration. McDonald also uses the time to answer emails and phone calls, and this afternoon he's conversing with a school administrator to respond to challenges around strategies in place for a particular student. While he’s travelling to various school sites many days, the office provides a chance to check in with the wider Spec Ed team, including Lesley Boudreault, who is the department’s Program Coordinator. Previous to taking on this role, Boudreault was in the same position McDonald is now – with a similar career trajectory – and he considers her a mentor. The job can take an emotional toll dealing with complex situations and working with limited resources, and having strong working relationships with team members helps immensely when it comes to balancing wellness. 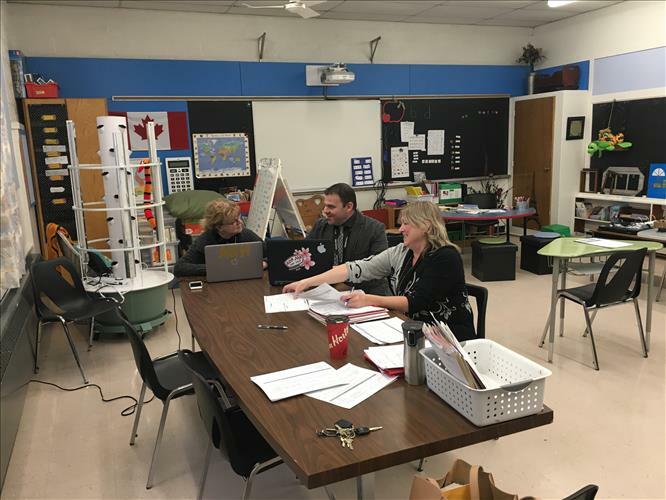 Before the day is over, Scott is on the road again, concluding the day at Branlyn Community School to review the needs of a student enrolled in the Strategies class. When not at work, McDonald can usually be found at a hockey rink – he’s a coach for the Brantford 99ers Minor Peewee team. His son is on the team, and there’s lots of travel involved, but also plenty of time for family. McDonald’s partner in these adventures is Melanie Logan, Vice-Principal at Cobblestone Elementary, and their family includes Logan’s two daughters and McDonald’s two sons.